Successfully saved Hoppin' John to your Calendar. You can also save the ingredients to your Grocery List. Easy vegetarian Hoppin John recipe. 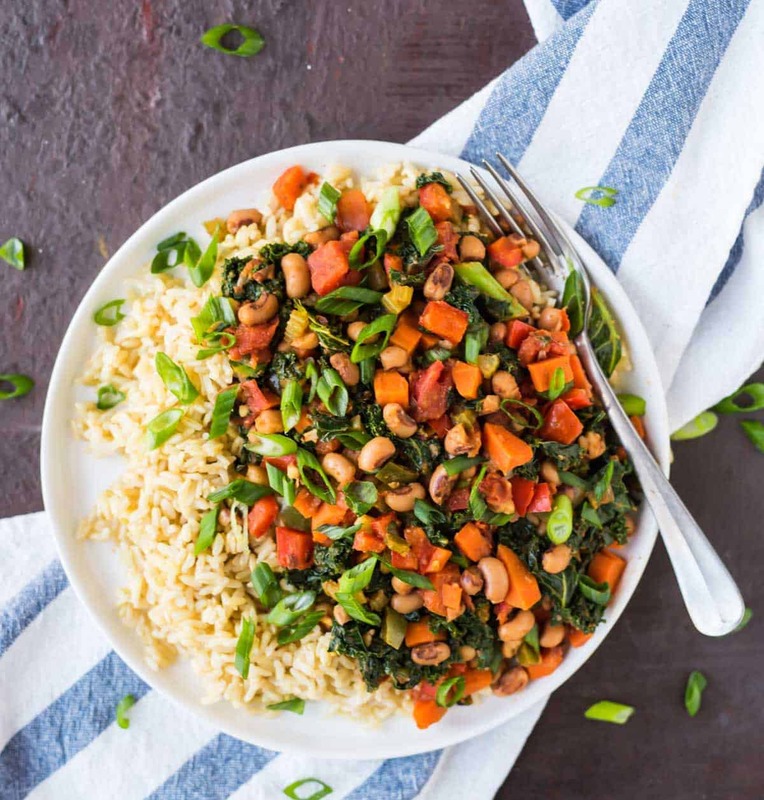 A healthy twist on traditional Southern style Hoppin John made with with rice, black eyed peas, and greens. Great for New Years or anytime you need a fast dinner!